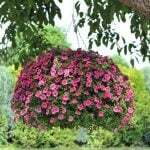 Part of having a garden space is also recognizing that curb appeal adds to the value of that space… in other words, you want to show off your garden stuff to the world going by! 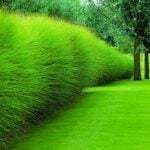 One of the greatest ways to enhance your garden is to up the ante on the style factor for your home and garden curb appeal. Long story shorter, time to replace those outdated house numbers! 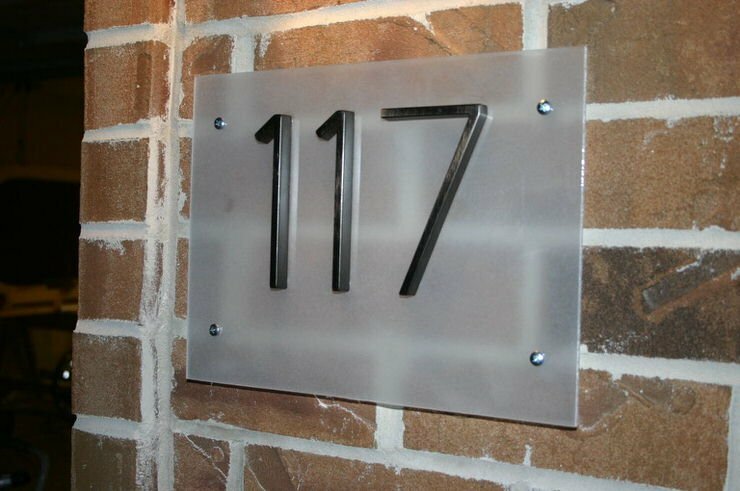 We have a bunch of great tutorials on DIY house numbers for you. Making this a project instead of running down to the hardware store pays off in two ways… First you don’t spend $20 a number! Second, you get something that represents your family and it’s personality, not just some generic vinyl letters. (Ick!!!) 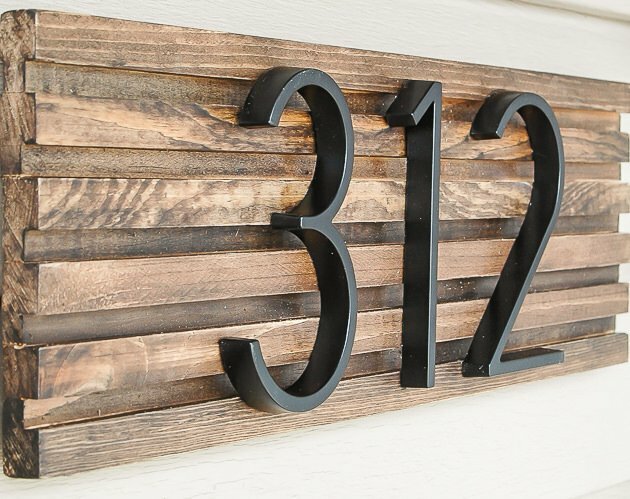 So here are TGG’s top choices for DIY house number signs for you to try this weekend! Make this fresh and fun Palm Springs inspired house numbers sign from ‘Popsugar‘. 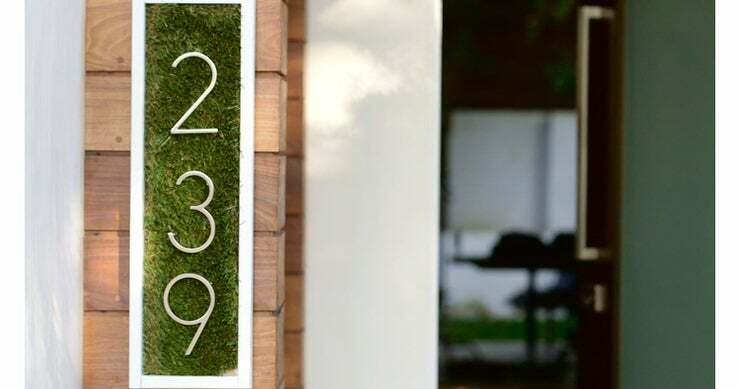 Did you ever think to make an DIY address plaque with grass? 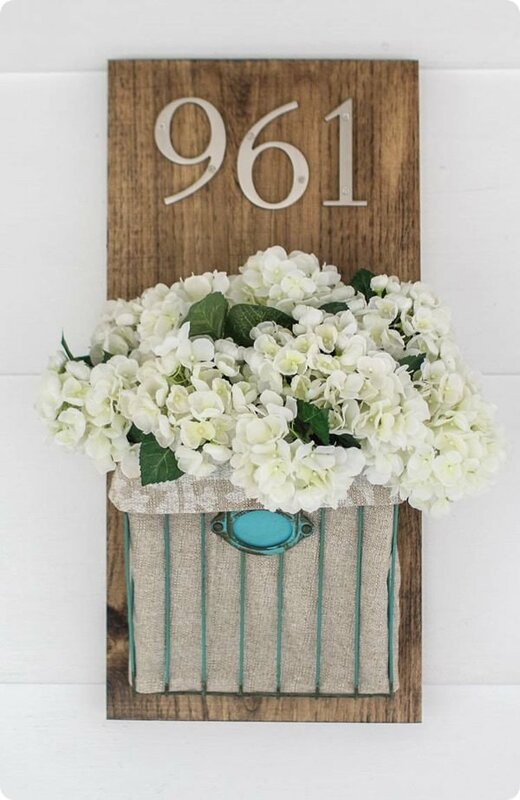 This DIY house number sign from ‘Shades of Blue‘ is also a planter! Love the idea of making an address sign into a sort of window box too. Here is another house number sign with a planter, from ‘Ana White‘. This was made from a simple cedar fence picket! 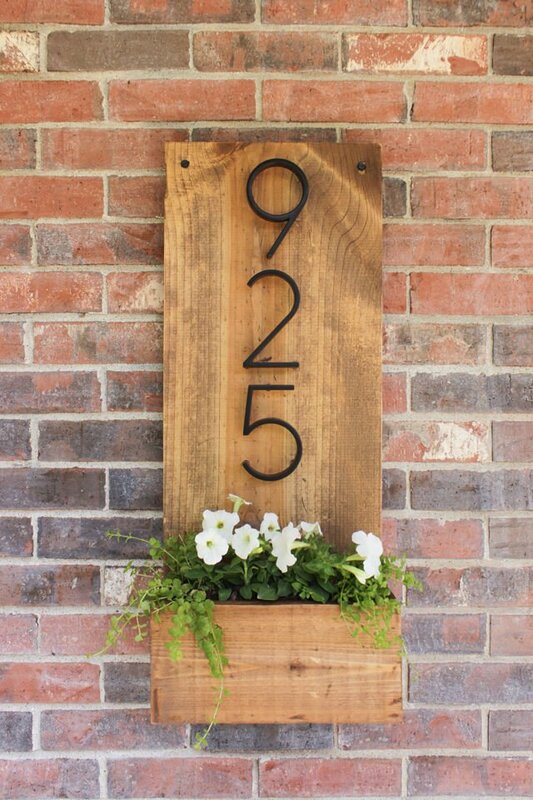 One last DIY house number sign with a planter from ‘Lovely Etc‘. If you love farmhouse style, this one is for you! Make this modern house number sign with this tutorial from ‘Little House of Four‘. We love the texture she created on the sign itself, instead of just placing the house numbers on a flat board. Go check out her tutorial! BTW, this address plaque looks amazing on her farmhouse style home, so you don’t have to have a modern house for this style to work! ‘A Crafted Passion‘ made this house number sign from simple and inexpensive wood shims! 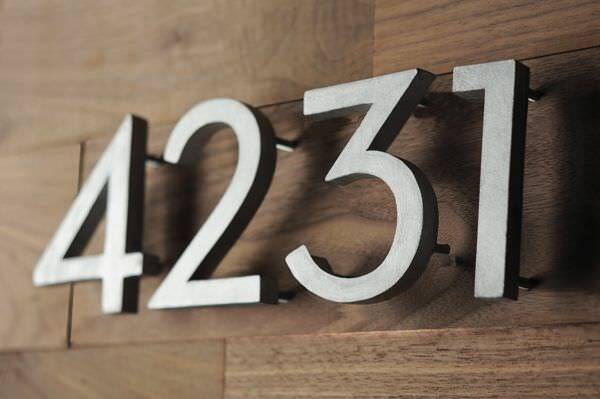 These modern house numbers are the perfect address plaque for a more contemporary home. From ‘Curbly‘, this tutorial walks you through exactly how to make this address sign. We love this more contemporary frosted glass looking house number idea. You can find the tutorial at ‘Instructables‘, and it’s pretty easy! Note: You can find the Lexan (acrylic sheet) at most home improvement stores, and they will cut it for you if necessary. 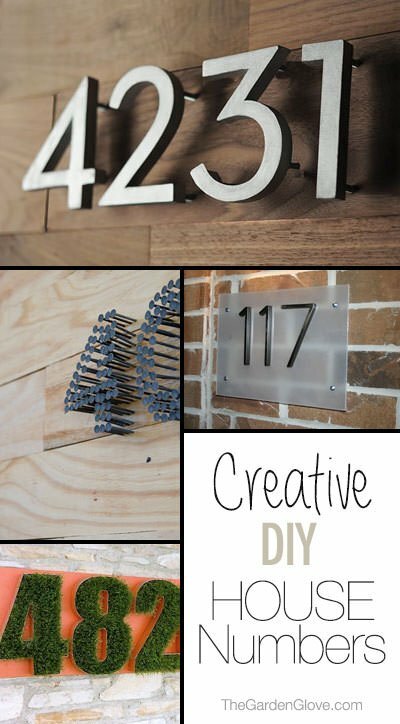 “Hit the nail on the head” with this easy house address sign project! 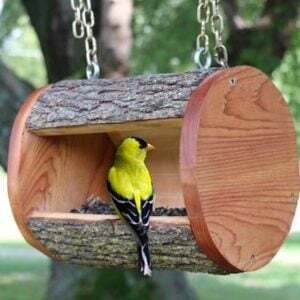 Pick up a piece of wood of the right size from the scrap bin at the hardware store. 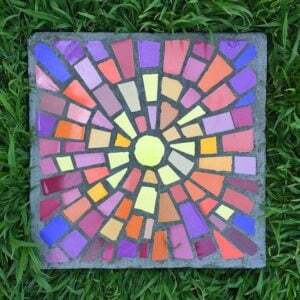 Stain or paint if desired. Print out your house numbers in a bold font of the size you desire. Make sure to tape it to the house where it will be displayed, then step back and make sure it’s large enough to be seen from the street. Now tape the paper over the wood base. Starting in the center of each number and working your way out, tap nails into place within the printed number. 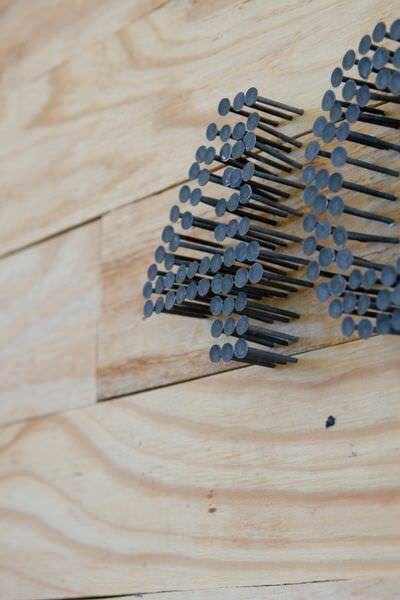 The closer you can comfortably space the nails, the easier it will be to read. Use a needle nose pliers to hold each nail as you tap it into place. Try to get them straight! When finished, tear away the paper. This look would look great on both a more modern home, or if you are creating a more rustic feel. The blogger who did this original DIY house numbers project no longer exists it seems, but we found a similar tutorial at ‘DIY Network‘. 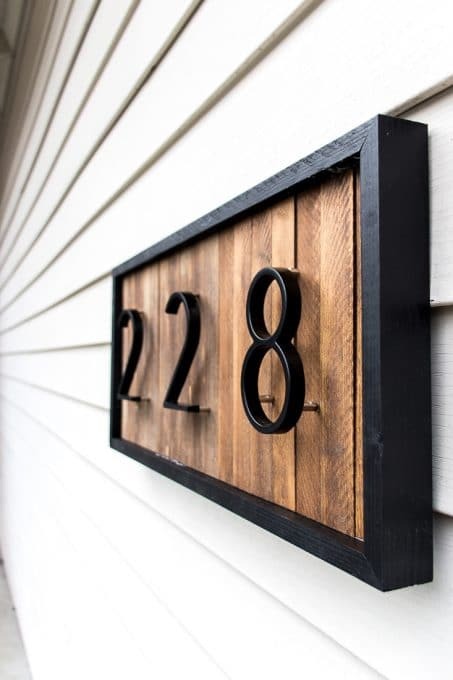 This house number idea made from scrap wood by ‘Kojo Designs‘ is a perfect example of great design with a small pocketbook. 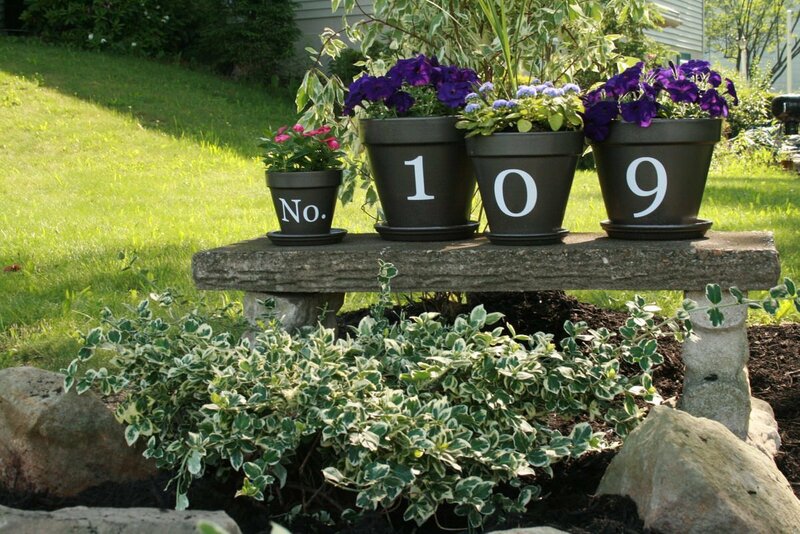 Ending with an address sign idea perfect for all us gardeners… a flower pot house number tutorial by DIY Showoff. 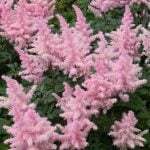 Make sure you include curb appeal in your garden design, because it does contribute to your garden, and your home. 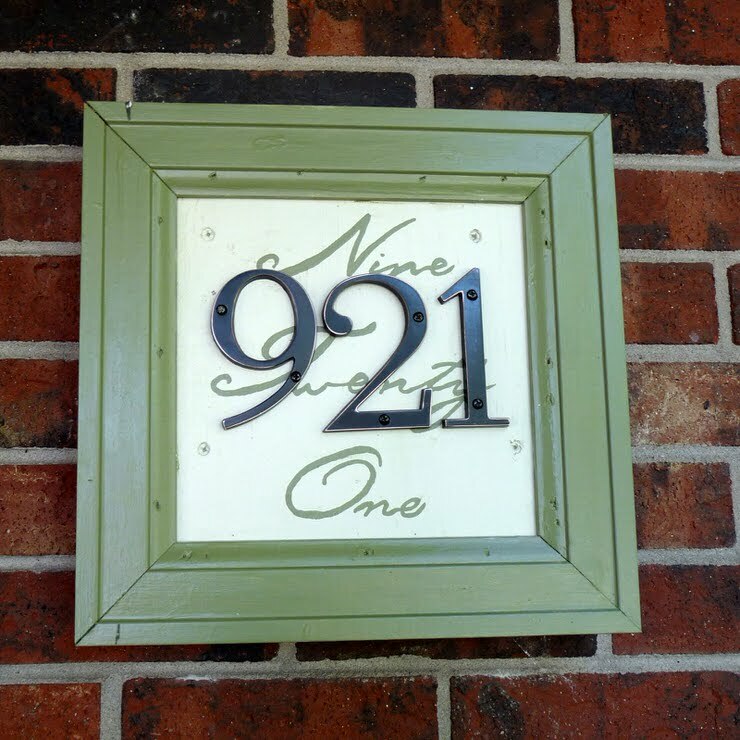 DIY house number signs are an easy addition to that design that you can accomplish in an afternoon. While you’re at it, dress up those front doors as well! See our post at OhMeOhMy on Front Door Makeovers! Oh, and if you are looking for more ways to dress up your curb appeal, try our post on DIY Garbage Can Screens! LOVE! What is the font? It’s perfect! Hi Mary Beth! You will have to email the author of the project you are interested in to find out the font… Good luck! 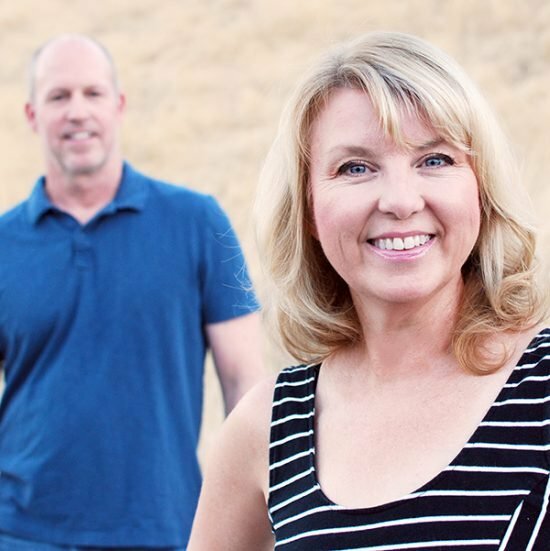 Great ideas for short home addresses, but what about longer ones? My home address has 5 numbers….any ideas? Great photos! Thanks for sharing. This inspires me to great something instead of buying numbers. I particularly love the flower pots. Thanks for the ideas. Kathy, I love the house numbers with the inserts using a grass entry mat! Where did you buy those hollow house numbers from? Thanks! I guess these were manufactured and sold for a while but I think they have been discontinued. We had to include them in the post because they were so cool. Inspiration for maybe someone to try and make themselves! I would use a set of number cake pans; Wilton makes them and they are sold on eBay, amazon, and Wal-Mart! I like your ideas! Any suggestions for single digit street numbers? I think most of the ideas would work with a single digit street number. 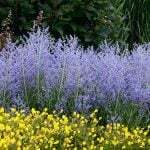 Especially the ones on a plank of wood or acrylic sheet etc. I love seeing single digit numbers expressed with zeros in front of the number!